Jai Guru Datta and Millions of pranams and thank you Ragas in SSR that Sadgurudeva is back safely !! Sri Guru Datta !! Jai Guru Datta Puttuji !! Jai Guru Datta and pranams to the Ragas of SSR, for getting Sadgurdeva safely back. Sri Guru Datta !! 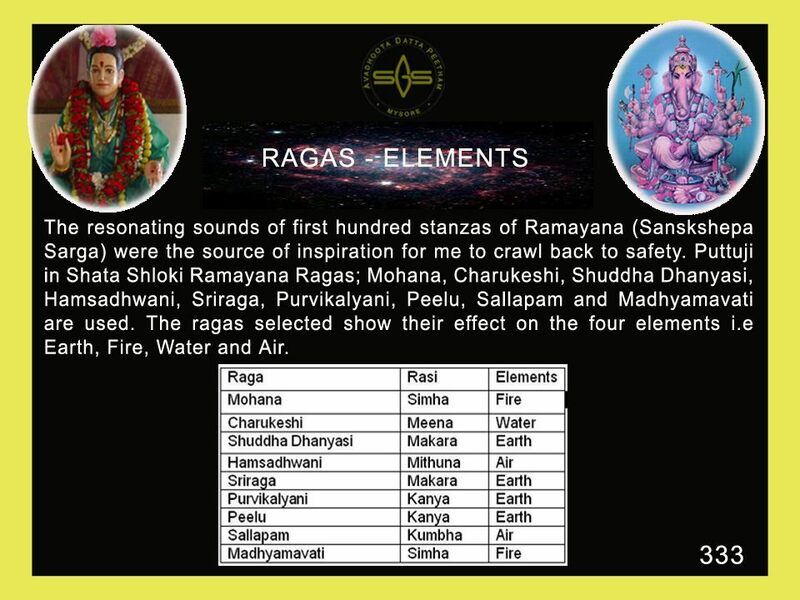 Jaya Guru Datta for these beautiful teachings on the rasis, elements and ragas. And for the message on how divine music can turn poison into nectar. Please teach us to learn to use this music wisely and appropriately for ourselves and our communities. It is Your great gift to us and you have shown us its healing power in so many ways. Great, Great Puttuji, so much thought and planning were behind 100 Shloki Ramayana. 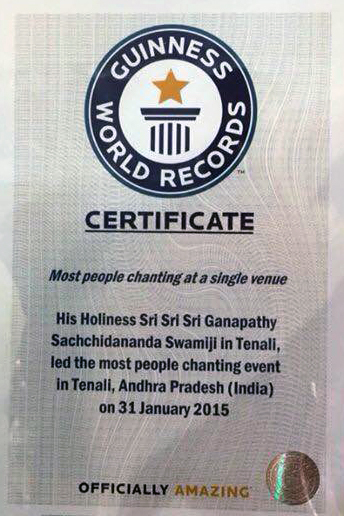 Pranams to H.H Sri Appaji for blessing us with such a marvellent Gift.